Q & A Why doesn’t my 6-month-old rooster crow? By Nancy Farrell on February 6, 2011 Visit Nancy's Website. A. Bettina, this is a great question! I, too, have a rooster: He’s about 8 months old now and has yet to crow, though he is the biggest bird in the yard, has a fully developed comb and a wonderful rooster tail. While researching the answer I’ve started looking at why roosters crow. 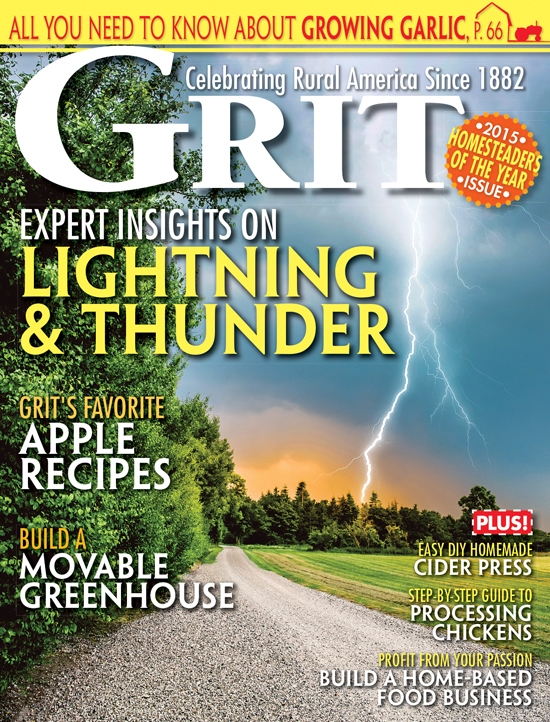 An article from GRIT magazine says a rooster crows to establish its territory, assert its authority or to brag about something its hens have done. They also seem to crow to impress the hens and if something has startled them. Of course, some roosters crow almost continuously, others only rarely, and they all crow at different times of the day. 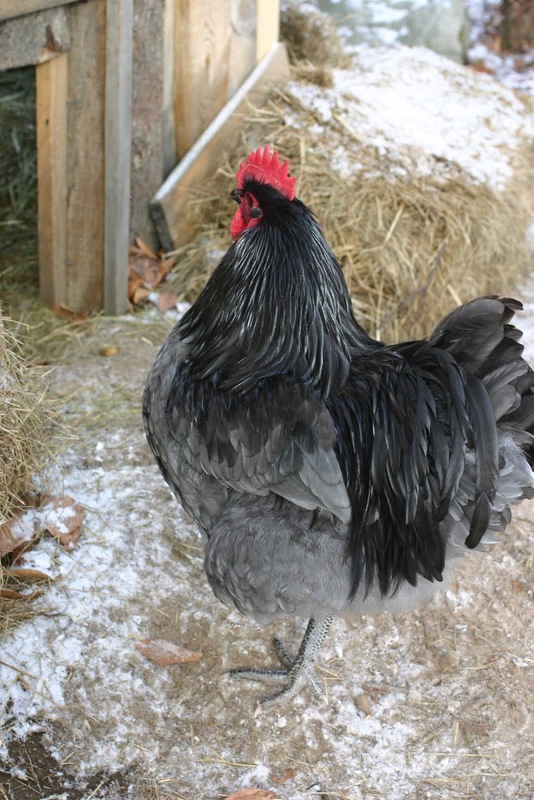 A rooster that is injured or sick often doesn’t crow, so it avoids drawing attention to itself. We have a rooster named Midge that was born with weak legs. When he was up at the barn with the other roosters he never crowed. One day we found him lying at the bottom of the perches with a broken leg. We assume his weak leg broke when he went to hop down for the morning. Well, we decided to bring him home (our house is about 5 miles from our barn) because he was injured and was such a quiet bird. Soon his leg healed up and he discovered our small flock of backyard hens and he began to crow. Wasn’t a very loud crow, thank goodness, but I guess he just needed his own space. Barring any sickness or injuries, I’ve read the more docile breeds (I’m not sure what breed of chicken your father has) crow a lot less then some of the more energetic breeds. My non-crowing rooster is a blue Orpington and he is the gentlest bird I’ve ever come across. As the flock includes more dominant birds, I’m thinking he is staying quiet so he doesn’t attract attention to himself … and thereby avoids any potential territory fighting. Our other roosters don’t seem to be bothered by competition, so they all crow like yours. 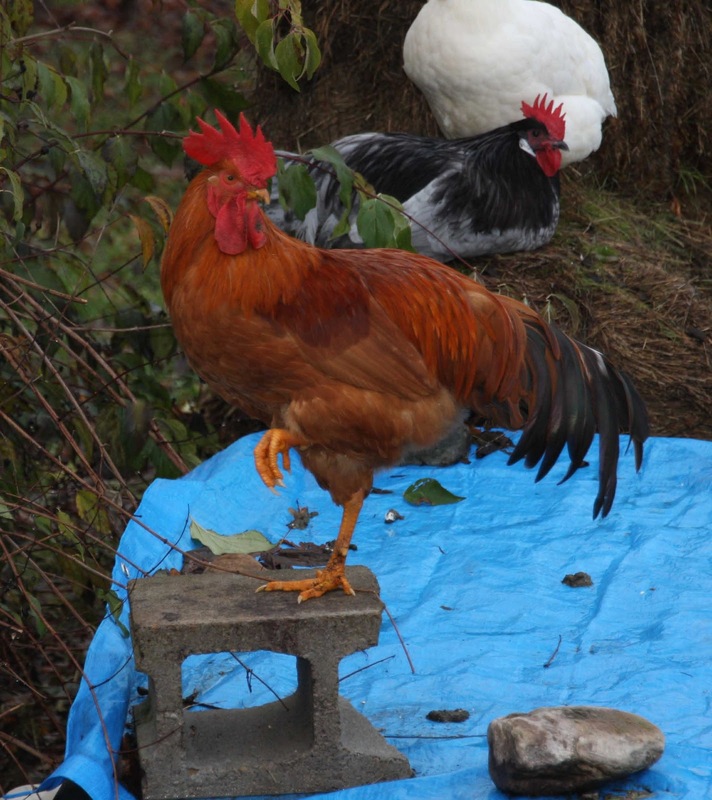 I’m convinced it is a temperament thing: Just as some folks are more laid back, some roosters are, too! I’m thinking that this spring when we separate the flock for breeding purposes, he’ll start crowing. Good luck with your flock! Enjoy them!